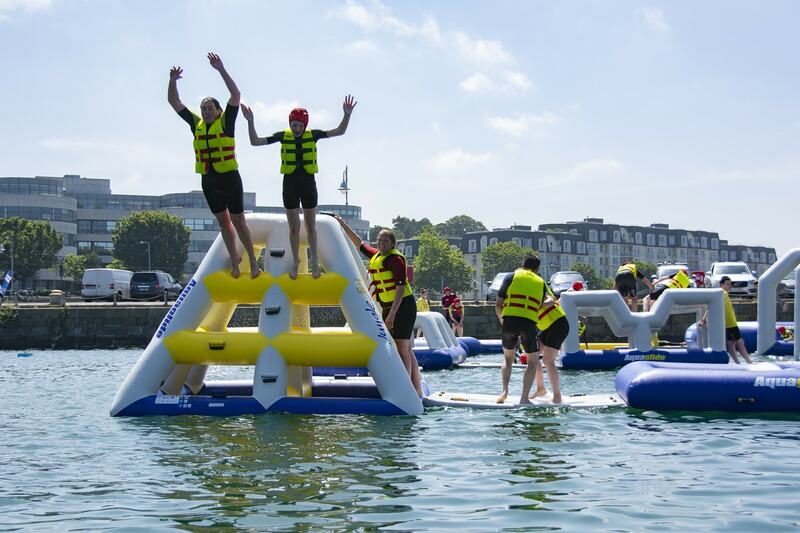 Harbour Splash, Dublin’s first inflatable aqua park is now open at Dún Laoghaire’s west pier. 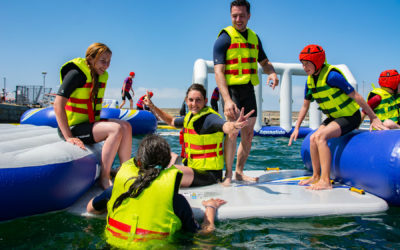 An obstacle course over water including trampolines, climbing frames, slides, monkey bars offers guaranteed fun, whether you are coming with a few friends or in a big group. 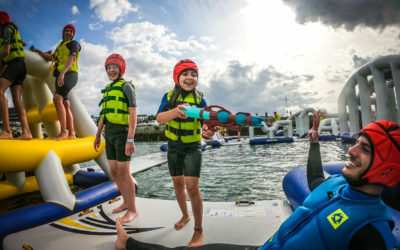 Anyone from age 8 upwards can book in for our standard sessions and we are running specific ‘slow fun’ sessions for children from age 6 (and their parents). 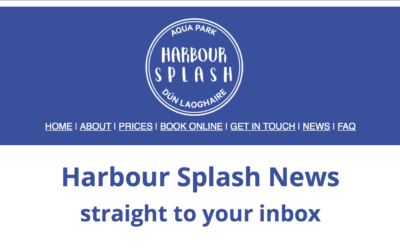 Book online or call us on 01-5240602 with your enquiry. 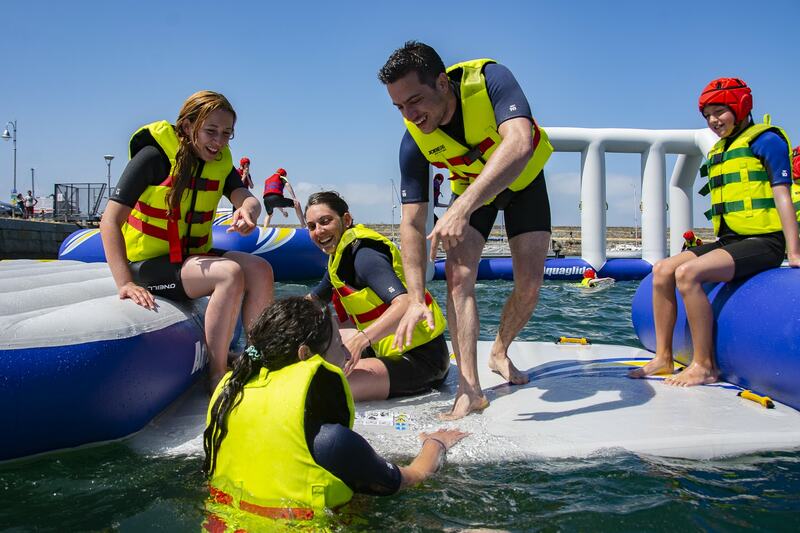 Book us for Hen Parties, Stag Dos, Corporate Events, team challenges and more! Waivers must be completed before entering any sessions, save time and fill it in ahead of time. 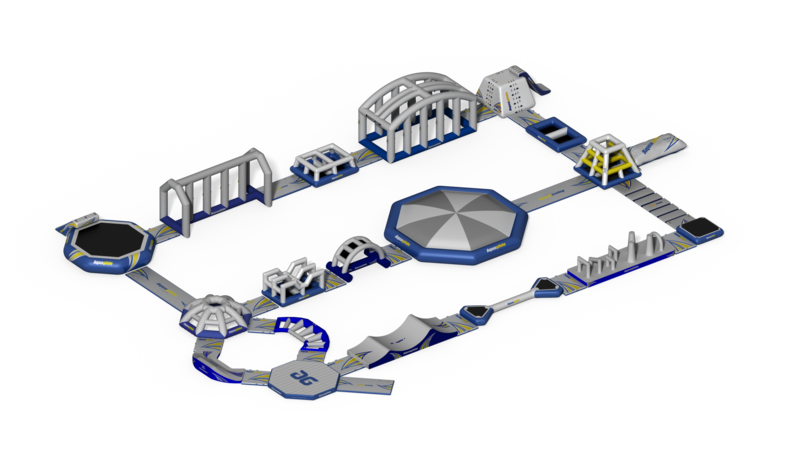 Just follow the link on your booking receipt. 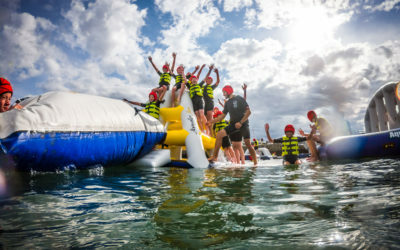 Sessions are one hour long including the safety briefing, plan around 30 minutes before and after for check-in and getting changed. 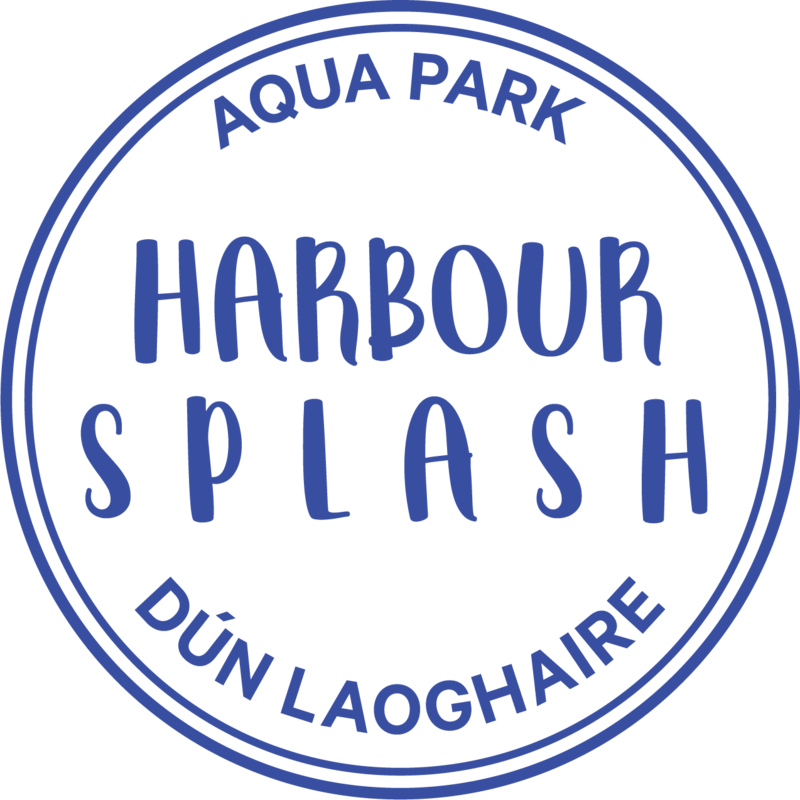 Harbour Splash is located at the Old Pier in Coal Harbour near the west pier. 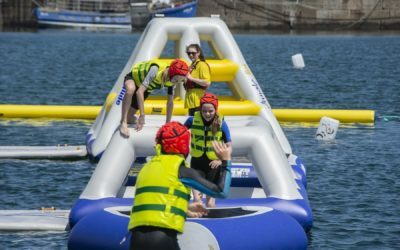 We recommend to take public transport for your trip to us – the DART and bus stops are very close by and there is no designated parking for Harbour Splash in the area, there is only very limited pay parking available in the harbour. We don’t want you to miss your slot because you couldn’t get parking.